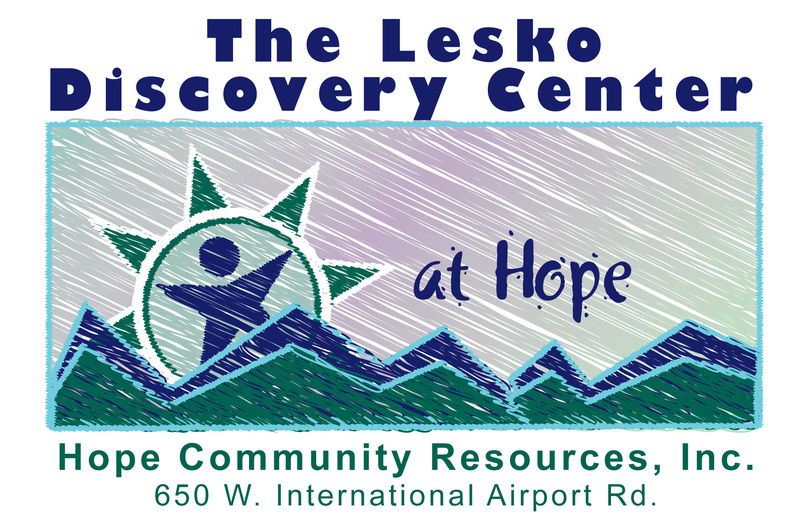 The Lesko Discovery Center - Hope Community Resources, Inc. The Lesko Discovery Center team is committed to providing accessible and inclusive opportunities for people of all ages and abilities through recreational and skill-building activities! The Discovery Center provides a wide array of activities and supports that promote personal growth through skill-based recreational activities to generate success and encourage new personal and social discoveries. The Adults United by Relationship, Opportunities, Recreation & Adventure (A.U.R.O.R.A.) Program is for ages 18 and up and operates from 9 AM-3 PM and the After School Program Inspiring Recreation Experiences (A.S.P.I.R.E.) Program is for ages 10-21 is from 3 PM-6 PM. Community members are invited to participate in the activities offered through the Discovery Center. Any fees associated with activities are applicable to all participants. Please contact the Discovery Center to learn about fees/funding options. We invite you to download the 2019 Lesko Discovery Center Calendar and the individual calendars for the A.S.P.I.R.E. Program, or the A.U.R.O.R.A. Program for adults, that include dates, times, and fees for activities. Discovery Center programming is by trimester: January 1–May 25, 2019 ~ May 26–August 17, 2019 ~ August 18–December 31, 2019. The Discovery Center is also home to the Bridges Play Center and Hope Studios/Gallery. For more information, please contact the Discovery Center at 907-433-1700 or discoverycenter@hopealaska.org.